I loooove shrimp cocktail, but standard cocktail sauce has a LOT of you-know-what. 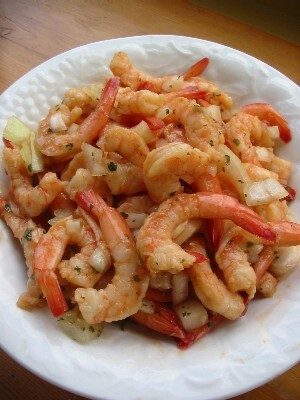 So here’s a great solution – marinate the shrimp before serving and forgo the sauce. Your guests (and taste buds) will thank you. Combine all ingredients in a large bowl (or large zip-top bag) and mix well. Cover and refrigerate at least 3 hours and up to 6 hours. Drain before serving.